Ready for an excellent adventure? Fire up the Delorean, pad your shoulders, grab a turbo dog and bag of corn nuts, we’re about to bend the polyester fabric of space and time. Can music sound totally retro and modern at the same time? Let’s find out. Sadly, many of the best new wave acts of the ’80s fell victim to the same old song and safety dance: Score some hits, disappear for a while and then cash in on the nostalgia circuit playing weathered versions of the classics to an audience of beer guts, soccer moms and bewildered kids. Call it a miracle, but New Wave is currently experiencing a Second Wave — three decades since the launch of MTV and the height of Richard Blade, these 11 iconic acts are currently cranking out some of the best music of their careers. After the Power Station v. Arcadia holy war of 1985, it seemed highly unlikely that the Fab 5 would ever reunite. For close to two decades, the band soldiered on in name — but gone was the slightly weird, funky, menacing tunes that blurred the lines between rock and dance, underground and Arena, Rio and some ordinary world. When they did reunite, the clouds cleared and down upon us rained… a bunch of crap. Well, not crap (that would come later on 2007’s Timbaland-helmed Red Carpet Massacre), but 2005’s Astronaut was far from the return to greatness we waited ages for. Andy gave up and left. And then, out of nowhere, All You Need is Now happened. Forget Fab 5, I want the new Lucky 7 to return: Andy, Mark and new co-writer guitarist Dominic Brown. A second perfect trilogy would cement their place in the Rock and Roll Hall of Fame. Like Danny Elfman, Liz Phair, Wendy & Lisa and Sam Phillips*, members of Devo have been soundtracking movies and TV shows in Hollywood for the past few decades. How ironic that the band inspired by de-evolution would evolve more dramatically than every other band on this list. Something For Everybody is a tour-de-force packed with the meatiest, hookiest, most exciting songs of their storied career. Originally released in a less-than-perfect fan-selected “Song Study Edition“, the band got the song selections and sequencing right with the official release. Album highlight ‘Don’t Shoot (I’m a Man)’ leads a filler-free festival of sinister synth and guitar anthems that school most whipper-snapper EDM acts on how to write massive song hooks that will hold up for the ages — wickedly clever lyrics to boot, this album is the whole package. Something Else For Everybody (2013): A collection of demos and unreleased tracks from the prolific Something sessions is available on iTunes and in a variety of digital formats at Devo’s Official Web Store. *Sam Phillips also has a solid, slow-burner new album out, Push Any Button. Technically, the Indescribable Wow songstress never broke up nor went away, so she’s not on this list. If you still have energy left by the time you reach #10, check out Phillips’ lovely “See You In My Dreams” — aaaaah. OK, back to the countdown. 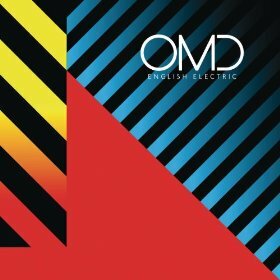 OMD started life in variety of bands and/or art installations involving Andy McCluskey, Paul Humphries and a tape deck named Winston. What followed were a series of albums that science nerds could dance to — Kraftwerk for hopeless romantics. Their biggest moment, ‘If You Leave’ from the Pretty in Pink soundtrack sadly signaled the end — or so we thought. Andy went in a pop direction (creating/producing the girl group Atomic Kitten) while tacking the OMD name to two very non-OMD albums. Paul went back underground with The Listening Pool and OneTwo (with Claudia Brucken from Propaganda — a collaboration that should have worked, but didn’t). 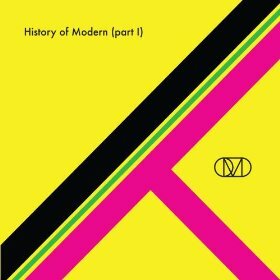 Their reunion album, the History of Modern, played like a victory lap through many of their classic sounds. This year, they went double or nothing with English Electric, a stellar album that would seamlessly fit between Organization and Architecture & Morality on the record shelf while also appealing to Avicii-loving hipsters who have never heard of the band or John Hughes. This week sees the release of the Night Cafe EP featuring remixes and all of the b-sides and bonus tracks from the album to-date. 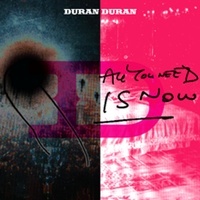 If you combine it with the History of Modern Part II EP (that did the same with that album’s rarities), you compile a third album of glorious comeback music from one of the best synthpop bands of all time. 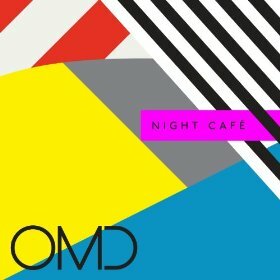 This week, Amazon has the Night Cafe EP on sale for only $6.99 — it’s a must for the purists (tourists should begin with The OMD Singles, B-Sides and English Electric). Earlier this year, David Schelzel walked Popdose readers through the band’s non-hiatus and glorious return to form (click here). Since then, the band (rebuilt with Oed Ronne and Peter Anderson) has been building momentum on an international tour. 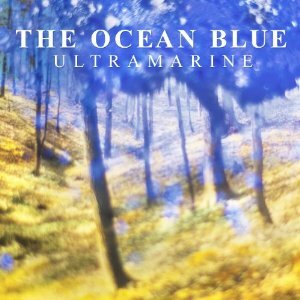 Ultramarine does the impossible, it bridges the gap between the pop-heavy The Ocean Blue and the dreamier classic, Cerulean, while seamlessly fitting in with NPR current favorites Head & The Heart, Iron & Wine and Band of Horses. Perhaps Steve Lau will take a break from the wine business long enough to add some sweet, sweet saxophone to the Ultramarine follow-up. Regardless, we’re pretty confident the skies are just as blue as the sea for this band. In the meantime, be sure to check out ‘Bleary Eyed’ the exquisite B-side from the single, ‘Sad Night, Where is Morning?’. 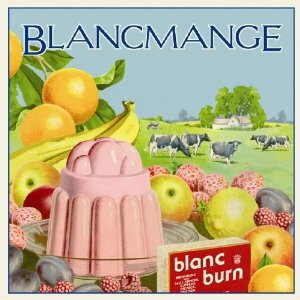 Blancmange may be named after a nasty-looking English dessert, but they made some sweet music during their original three album run. Big ballads (‘Waves’), globe trotting rhythmic travelogues (‘Living on the Ceiling’) and WTF dancefloor jammers (‘22339’) were all perfectly preserved in the band’s colorful floral mold of wiggily ear gelatin. Neil Arthur is touring Blancmange solo due to Stephen Luscombe’s health problems. A new CD, Happy Families Too, re-imagines their classic full-length debut album and will be sold exclusively at their shows. Arthur promises this is no note-for-note reworking, so it will be interesting to see what new fruits he throws into the mix. One can argue that the Wonder Stuff is neither ’80s or New Wave. They kinda bridge the gap between post-punk and the 90’s BritPop invasion of Oasis, Blur, Pulp and Manic Street Preachers. Regardless, their original four albums packed a Lorry-load of hits including ‘A Wish Away’ and ‘On The Ropes’. Depsite a constant rotation of high-calibre musicians, the Stuffies have always been to Miles Hunt what the Pretenders have been to Chrissie Hynde. The first ‘reunion’ album of surviving members, Escape from Rubbish Island failed to do exactly that, but the follow-up with a revamped line-up, Suspended by Stars, soared to the moon. Hunt’s solo disc, Not an Exit, was equally spectacular. During this time, Hunt’s right hand man was replaced by a lady — a lovely fiddler named Erica Nockalls. The dynamic duo’s latest entry is “Oh No! 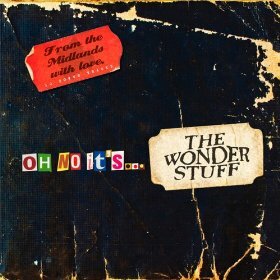 It’s The Wonder Stuff” is a double disc containing 10 originals and 10 surprisingly strong ’80s covers including Duran Duran’s ‘Hungry Like the Wolf’. 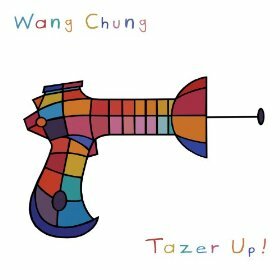 To be honest, I never much cared for Wang Chung — save for their epic singles ‘Dance Hall Days’ and ‘To Live and Die in LA.’ The lyrics, “Everyone Wang Chung tonight” rank with “We built this city on Rock and Roll” and “Don’t Worry, Be Happy” on my “I’ll never like it — even on a kitsch level” richter scale. That said, I LOVE Tazer Up!, their first batch of new songs in ages. Jack’s voice hasn’t aged a bit, but his songwriting is richer (thank 30 years of royalties I guess). Nothing deep here, this is lovely music for a sunny drive on a beautiful day (or at least that’s what you’ll feel like while stuck in traffic). 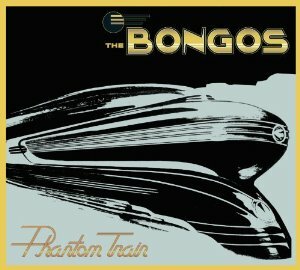 YOU — buying Phantom Train on 10/1. Read Rob Ross’s detailed Popdose review here and his interview with Richard Barone here. Need a friend? Connect with the band on facebook. This fall on both sides of the pond, Dolby is touring an interactive concert, film and multi-media event called, The Invisible Lighthouse. Richard Blade (now on Sirius XM) calls the experience “breathtaking.” J.J. Abrams calls the film “touching, evocative and beautiful” (yeah yeah, get back to work on Star Wars Mister!). 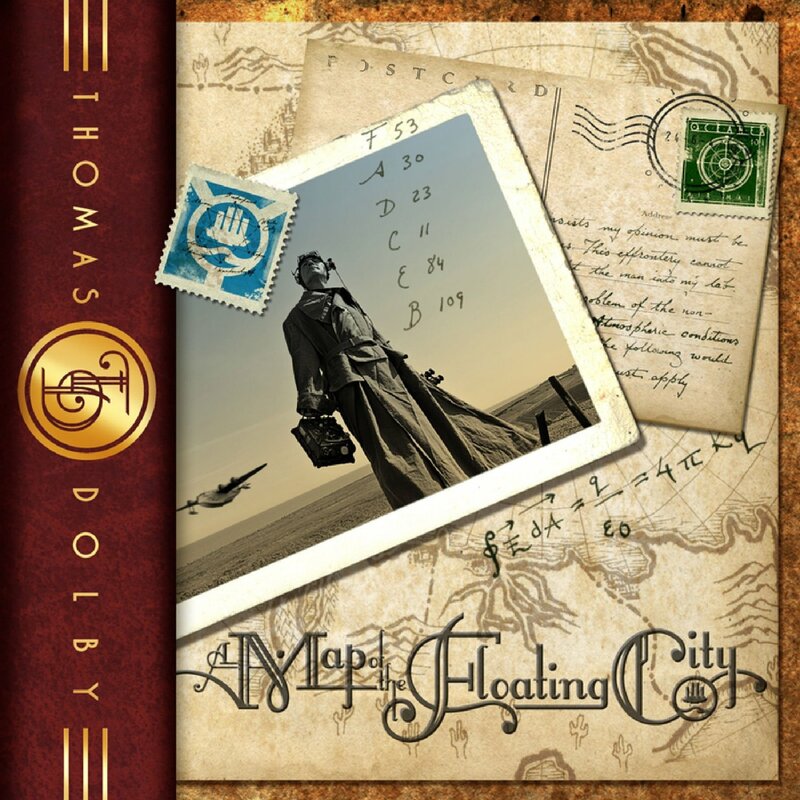 For tour dates and more info, visit the official Thomas Dolby homepage. Bands: Dire Straits and The Bangles respectively. New Wave? Early albums, I would argue yes. OK, if I include these two, I should also include til tuesday’s Aimee Mann who issued a solid return to form album last year with Charmer. That said, these two solo stars are certainly making some of the best music of their careers, so why not celebrate them? 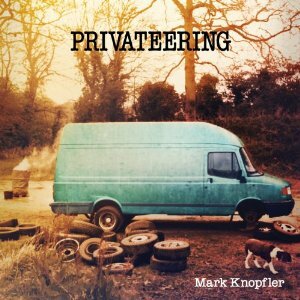 Privateering is a double album that came out a year ago across the pond, and is finally available here in the States. Knopfler has never truly gone away, so there was nothing to come back to with this album other than another helping of his signature voice and guitar style — both of which could have flourishing solo careers apart from each other. Combined, team Knopfler’s sound remains timeless and divine. The only thing that sounds truly new on Privateering is the title track; it starts off like a seafarer’s song but at the 2:30 mark, it gets absolutely epic. The rest of the 20 songs span classic eras of blues, country and Americana. Come for the storytelling — the gorgeous ballad ‘Seattle’ is way better kleenex soaker than a Nicholas Sparks’ book on tape. Stay for the wandering, heartbreaking guitar solos on every track. Somewhere in the midst of this one-hour, 24-minute epic road trip is a four-star single LP — not that the trail ever grows weary or cold. Read Ted Asregadoo’s original review here. Stream Privateering‘s ‘I Used to Could‘ and ‘Corned Beef City‘. While Hoffs and Someday co-writer/performer Andrew Brassell are hard at work on a follow-up, she is releasing a third album with Matthew Sweet, the other man in her life (besides director/husband Jay Roach). Under The Covers Volume #3, featuring music from the ’80s, is due out November 5th. If we did a fresh list a year from now, who’s due for a comeback? Book of Love has recently reformed for a quickie tour. Rumor has it, they will be hitting the studio too. Reconnect with them on facebook. Berlin is back with a new album. Check out Popdose’s brand-new interview with Teri Nunn here. Lone Justice, til tuesday, the Motels, ABC, New Order, the Buggles, the Psychedelic Furs? One can dream. Who would you like to see?